Tiller, the system iPad cash register, service delivery adds to its offer in order to provide a greater number of tools to its customers. Con Tiller Delivery, restorers can create their own website orders and reduce dependence on traditional delivery platforms, which charge 20 Y 30% commission. The delivery has become a critical part of restoration generating sales 1.099 million in 2017, a 9% more than the previous year. In fact, Tiller estimated 25% their customers use at least one delivery platform and the figure is rising. 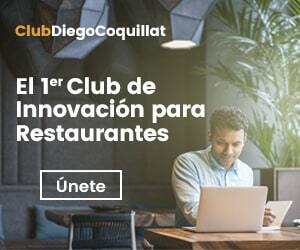 "Establishments that depend on these services face the same challenges", establishes Irene Camacho, Marketing Manager of the company, "Struggling to win users over other options offered and are required to pay commissions of up to 30%". Against this, Delivery Tiller launching proposes to make themselves known restaurants, retain customers and increase turnover in exchange for a 10% commission. Likewise, unlike other platforms, service lets you control the branding and centralize accounting. The order page can be integrated into the web business or be shared on social networks and orders arrive directly to the POS Tiller, allowing the restaurant to manage your data in one place. A system "all in one"
After collect 12 millions of euros in a funding round in June, Tiller pursues the technological development of its product to ensure customer satisfaction. According to the startup, the capital increase enables the creation of new partnerships to build the perfect management system for each establishment. Con Tiller Delivery, rather than compete with platforms orders at home, The company goal is to offer even more services restaurateur to manage your business. According to the founder Dimitri Farber, "In an increasingly complex ecosystem, Tiller seeks to be the ally of the merchant digital centralizing all the tools you need in one place ".